Just starting training a new puppy or want some fun with a rescue or older dog? 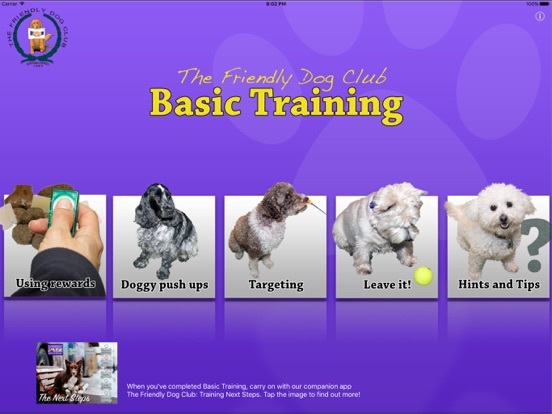 Then this interactive Dog Training App from The Friendly Dog Club is for you! 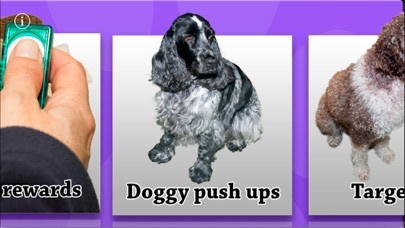 This app will make training great fun for you and your dog. We believe that it is important to develop a special relationship and bond with your dog using reward based training with a clicker. A clicker is small handheld device that, as it's name suggests, "clicks" when you press it. Your dog learns to associate the click with having carried out a behaviour that you wish to encourage - and it's remarkable just how quickly your four legged best friend will cotton on to this technique! You can pick up a cheap clicker from your local pet shop or dog training club. Alternatively you may be able to create your own unique click sound or use a suitable word. 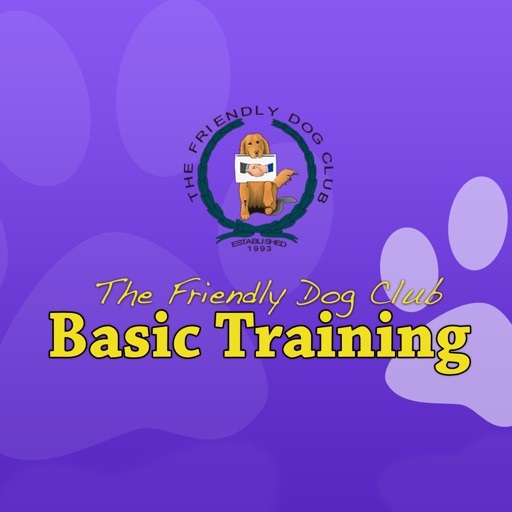 In the "The Friendly Dog Club: Basic Training" we cover the fundamental elements of reward based clicker training. Having mastered this the app moves you on to doggy push ups (sit, down and stand), targeting (such things as your hand, toys and a mat) and the all important "leave it" command. We round off with some useful hints and tips helpful for any dog owner. Once you've completed Basic Training, you will be ready to move on to our companion app "The Friendly Dog Club: The Next Steps" to take your training to the next level. This training course has been written by Angela Horsley who has been in dog training in the UK for over 30 years. She has witnessed compulsive methods being replaced with kinder reward based techniques which is the correct way to create the right relationship between you and your dog. If you're a trainer yourself then our apps are based on things that Angela herself uses to train at her own club in England. Suggesting using this app to your trainees gives them the chance to have the time to go over what they might have missed in your class and see visually how it should be done. We'd love to hear about how you get on with andy of our apps and what you'd like to see included in our future training apps. Please don't forget to rate our app in the App Store so that we can hear how you've got on with training your 4 legged best friend!